Mr. Media is recorded live before a studio audience of secondary NBC characters hoping to break out and earn your love – just like Grizz and Dotcom did… in the NEW new media capitol of the world… St. Petersburg, Florida! 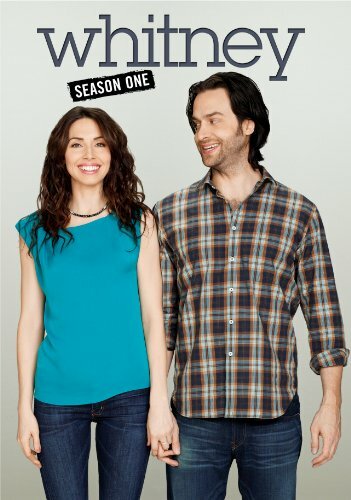 Tonight on NBC: Maulik Pancholy’s character gets the girl! Order ‘Whitney: Season One’ from Amazon.com by clicking on the DVD cover above! That’s right, Jonathan from “30 Rock” and Sanjay from “Weeds” is finally getting lucky. And talk about luck – the girl in his sights is the beautiful Zoe Lister-Jones, who plays sweet Lily to his perfect Neal. All this is happening on the new NBC sitcom “Whitney, starring comedian Whitney Cummings. It airs on Thursdays at 9:30 p.m., sandwiched tightly between “The Office” and “30 Rock.” If you haven’t seen the show yet, you should give it a try. It has its own rhythm, but there is an attractive interplay developing here and the writing grows crisper with each episode.